To make an attractive fireplace even more attractive and at the same time safer, Minuteman offers The Sterling, a fireplace screen that can be used indoors or out. 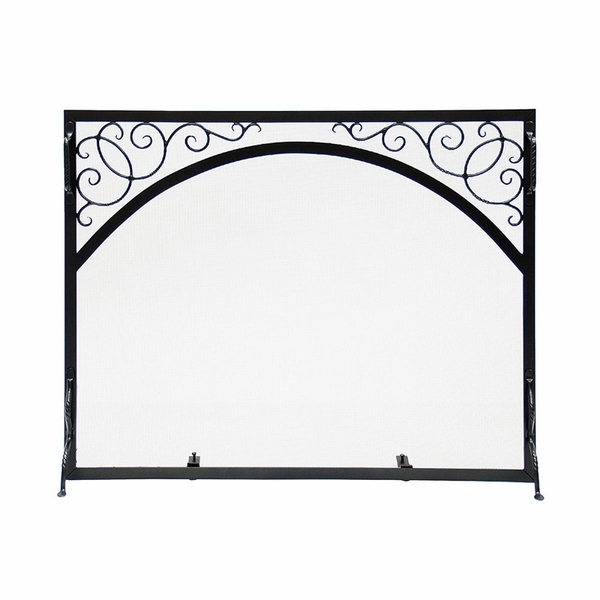 An arch across the top of the screen is adorned by elegant scroll work in each corner. The handles and front feet are fashioned to look like rope twists. If you have an irregular hearth, you can adjust the back feet. This 38-inch wide by 30-inch high screen is flat so you can set it quite close to the fireplace keeping embers from escaping. It is not bulky and works well in a hearth that is narrow.